 The Identity & Definition of "Other Israel"
Join us for a special screening of the all-time most successful Israeli film, followed by a conversation with guest filmmakers, who will share their experience working together on films in Israel. When Sesame Street tried to unite Jews and Arabs, to promote mutual respect, a world of clashing agendas and unforeseen opportunities arose. Featuring excerpts from the documentary-in-progress, When Muppets Dream of Peace, segments of the latest Rechov Sumsum, and a conversation with the filmmakers, this special event will highlight the challenge of bringing the “Other Israel” to our next generation. Through Others’ Eyes project uses photography as a medium of communication and self-expression among Israeli Jewish and Arab youth, exploring and creating a collective identity. Initiated and directed by the Givat Haviva Institute in Israel, the project involves visits to each others’ homes and communities, with photography exercises on topics such as cultural and religious celebrations, the body, and family. Torn between Israeli and Palestinian existences, the question of the split identity of this sector of society is a complex issue. This festival has faced many controversial debates when looking into the acceptable terminology for Arabs with Israeli citizenship. Are they Israeli, Palestinian, or somewhere in between? A panel of filmmakers and guests will discuss the complicated identity of Israel’s Arab citizens. An interactive workshop about the face of Arabs in American media and films presented by Palestine/Israel Education Project. Learn about and discuss the dangers of the often slanderous visions of Arabs brought into American pop culture dating back to the earliest days of cinema, and continues today. Join us for a conversation around the dinner table with a panel of festival guest filmmakers, moderated by Israeli news persona Chaim Yavin. The event is open to young leadership groups and people in their 20s and 30s. Advanced registration required. The most important contemporary Palestinian poet, Mahmoud Darwish, who passed away earlier this year, gave voice to the Palestinian experience. Join us for an afternoon of poetry, music and conversation about Darwish and his work. Join us for a full day of programming for the whole family based on building bridges between Jewish and Arab culture in Israel, celebrating the diversity of Israeli life through art and education.